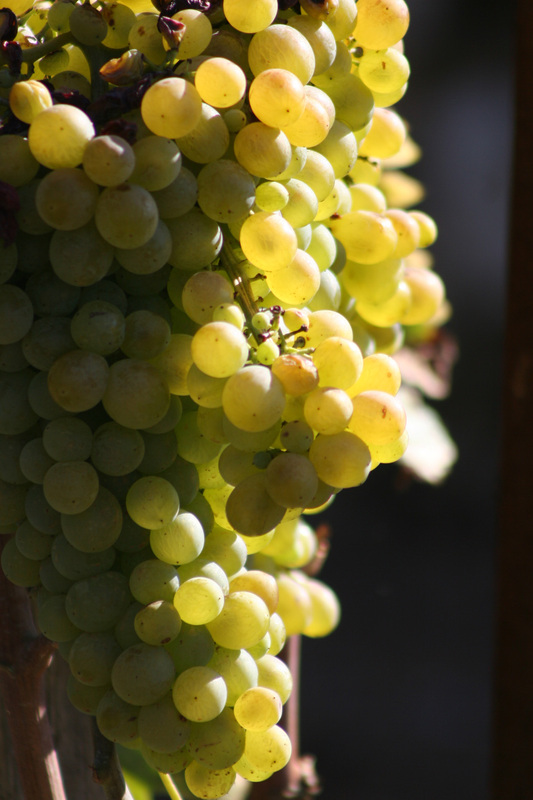 Compared to the rest of Dalmatia, which is known for its red wines, the island of Korčula is known above all for the quality of its white wines, particularly for Grk, which is grown In Lumbarda, and for the Pošip and Rukatac grown in the central region of the island. The most popular red wine is Plavac Mali. 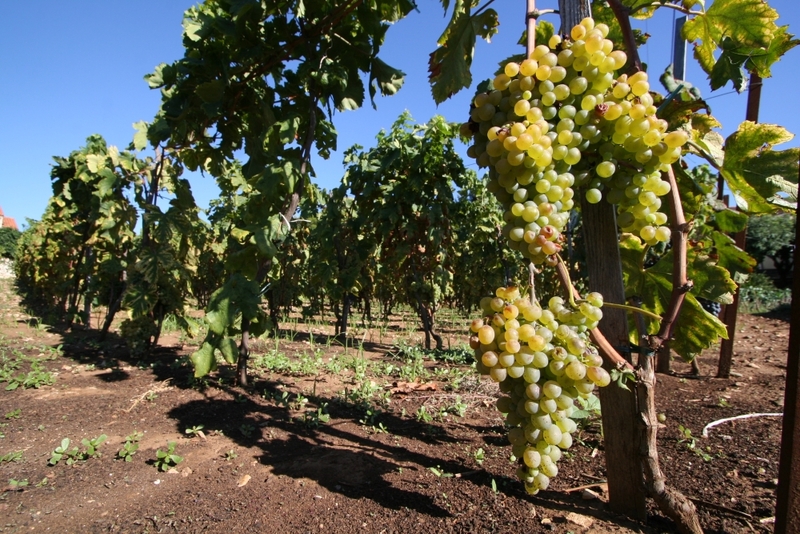 Lumbarda is renowned for its Grk, made from the identically named indigenous type of grapes which grow well in the sandy vineyards of the village. 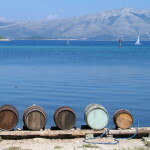 It is not known whether Grk got its name from its refined bitter taste (grk means bitter in Croatian) or from the Greeks, who established a settlement in the area back in the 3rd century B.C. An archaeological monument from that period, the Psephism, records the foundation of Lumbarda and the early years of its wine-growing and wine-making already 2,300 years ago. 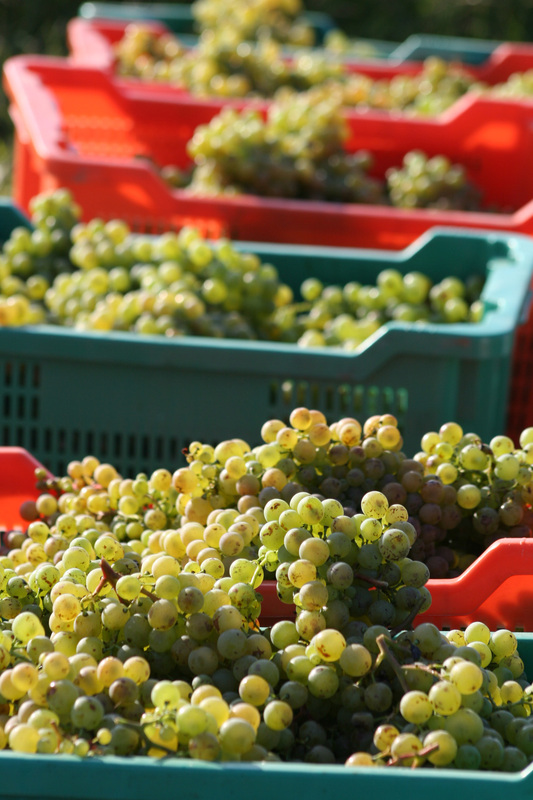 The result of this rich wine-growing tradition combined with modern technology and oenology is a dry wine with exceptional characteristics: it is recognisable by its lightgreen-yellow colour with golden reflections, its emphatic cultivar aroma and its noble bouquet. 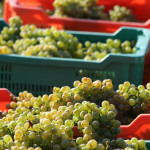 It has a rich, harmonious and well-rounded taste with a slightly bitter finish. It contains 12-14% alcohol with relatively little acidity. Grk goes best with all sea-food as well as with white meat , but can also be served as an aperitif. It should be served cold at 12-13ºC. 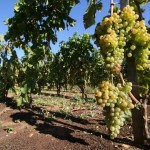 Besides Grk, Lumbarda also grows Plavac Mali – a variety of red grape chosen not only because it makes a good wine but also to help grow the Grk. Unlike most varieties of vines Grk has a female flower only, so to achieve fertilisation at the time of flowering it requires a pollinator which flowers at the same time. 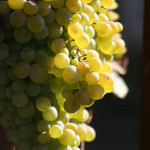 Plavac Mali is an indigenous sort belonging to southern Dalmatia and Croatia’s most popular and best known wine abroad. 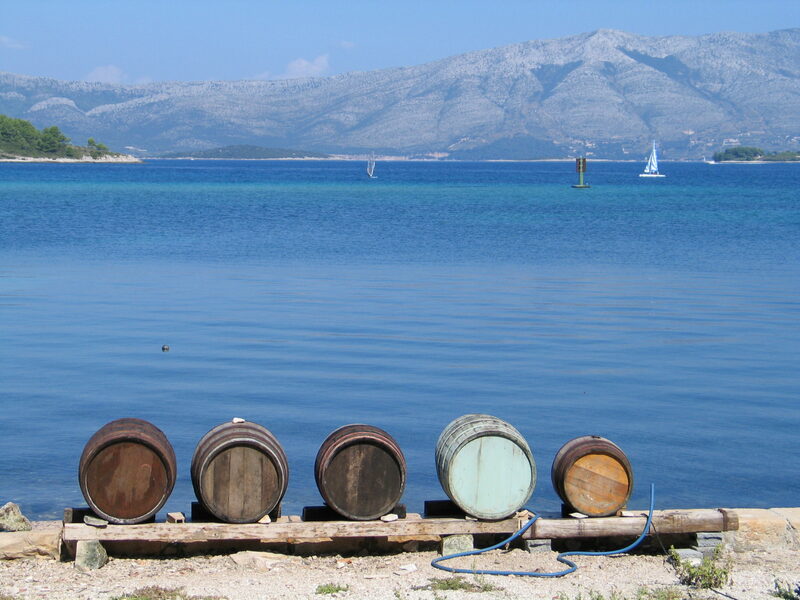 Due to its high reputation for more than six centuries this wine used to obtain top prices among other Dalmatian wines.The best Plavac Mali comes from steep southern slopes – on the islands of Brač, Hvar, Korčula and Vis, and from those of the Pelješac peninsula. Lumbarda also produces a high quality. The dry wine from Plavac Mali grapes is dark red ,even garnet colour, with traces of purple, and has a rich bouquet embedded in a cultivar aroma and a warm, full and refined, well rounded, satisfying acerbic-to-soft taste. It contains 12-15% alcohol. Plavac Mali goes well with fine foods prepared with dark meats, especially wild game, and also with fish and strongly flavoured quality cheeses. It should be served at 18°C. Prošek is a sweet and sumptuously rich Dalmatian desert wine with high alcohol content. It is vinified from dried grapes, white or red, of diverse indigenous varieties, Grk and Plavac Mali being among the most appreciated. Few produce it and in very limited quantities. Prošek contains between 15 and 19 vol. alcohol and over 100g of unfermented sugar. It blends ideally with a range of cakes containing chocolate, walnuts, almonds and dried figs and also with mature cheeses.